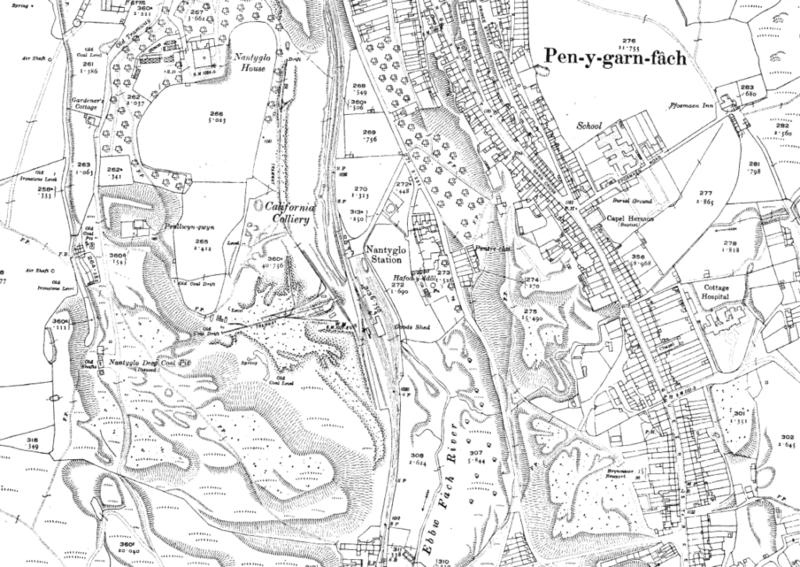 The California Colliery Level (as seen in the centre of the map from 1920) just opposite the Nantyglo Station was opened by Mr Silvanus Jones Jnr in October 1904. In 1915 the collieries were taken over by Silvanus Jones & Co. (S Jones & Co). In November 1920 it was announced that Mr Silvanus Jones of the Woodlands, Blaina and his brother-in-law Mr T. L. Davies left the town for a sea voyage for the benefit of their health.